Windows 7 is being liked by number of people who have test driven this new operating system from Microsoft. Besides the functionality, it has been in news for its probable look of official logo. 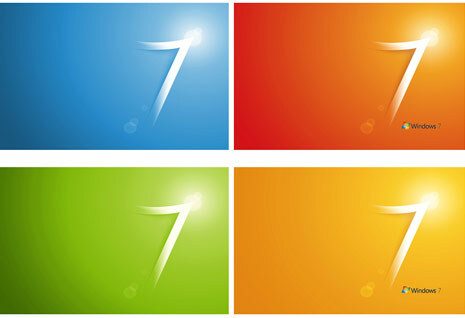 We have already seen new Window 7 logo of Windows 7 RTM release. Here are cool Windows 7 wallpapers featuring that official logo. Wallpapers are available in different colors in cool widescreen resolution of 1680×1050. Click here to download [via] new Windows 7 Wallpapers.